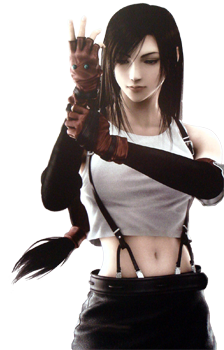 Tifa Lockhart is a fictional character from Final Fantasy VII (1997). 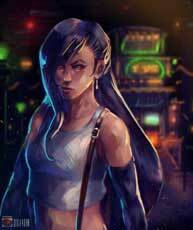 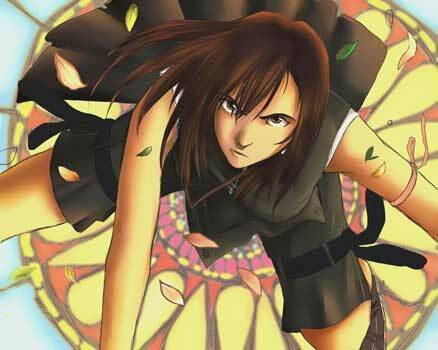 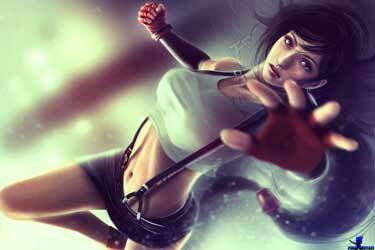 She is one of the protagonists and accompanies Cloud through almost the complete game. 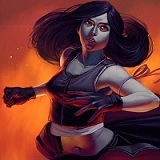 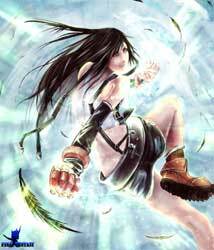 She fights with her hands and feet instead of using another weapon than herself. 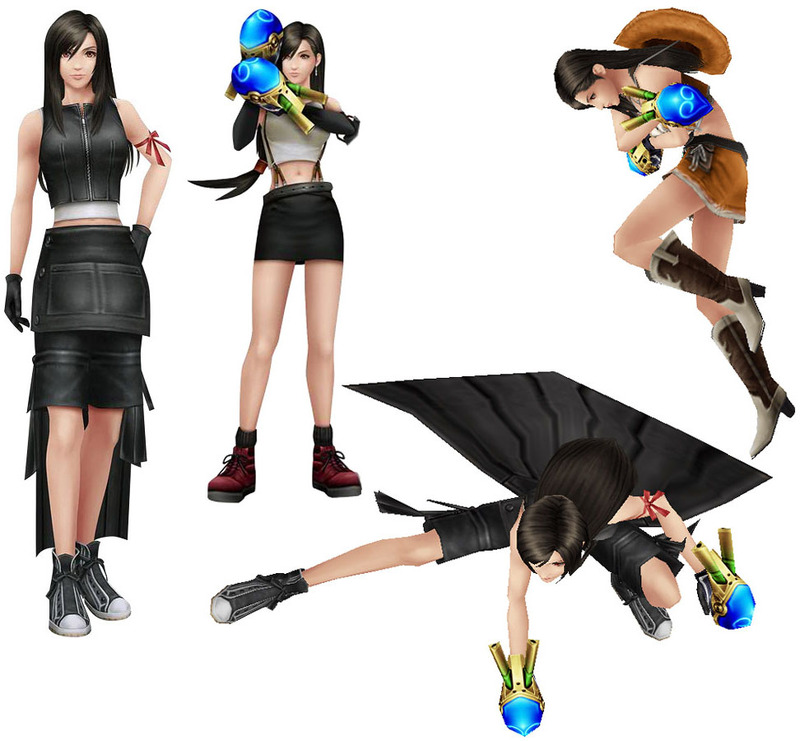 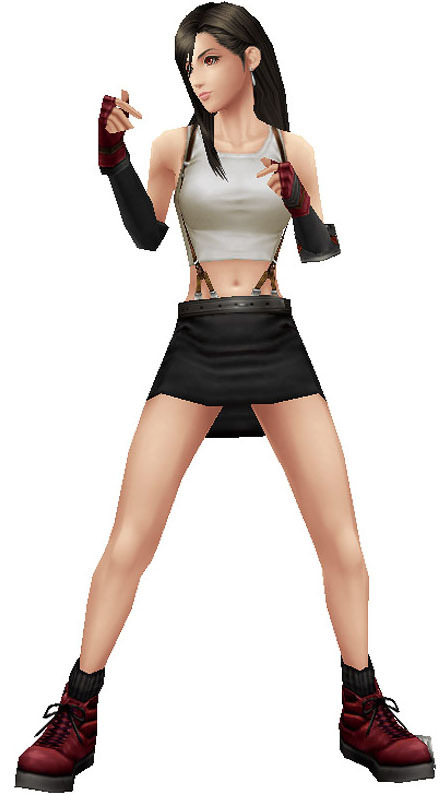 Tifa made it into most of the sequels and spinoff Final Fantasy VII games and was also featured in Ehrgeiz: God Bless The Ring as a fighting game character for the first time. 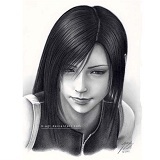 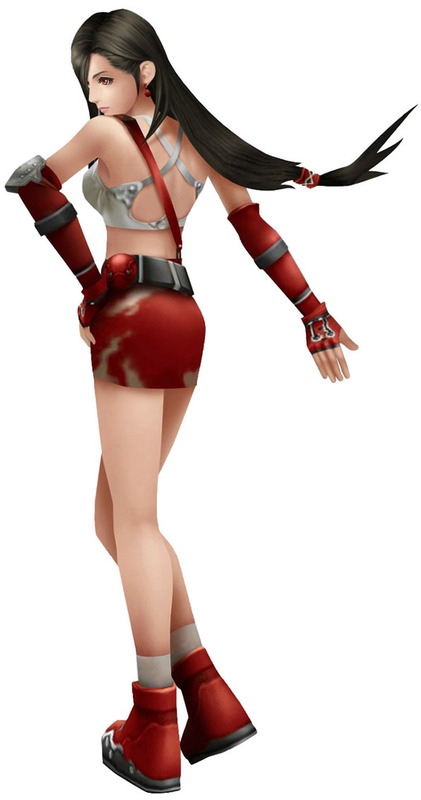 Later she also made it into the Kingdom Heart series and as a playable character into Final Fantasy Dissidia 012. 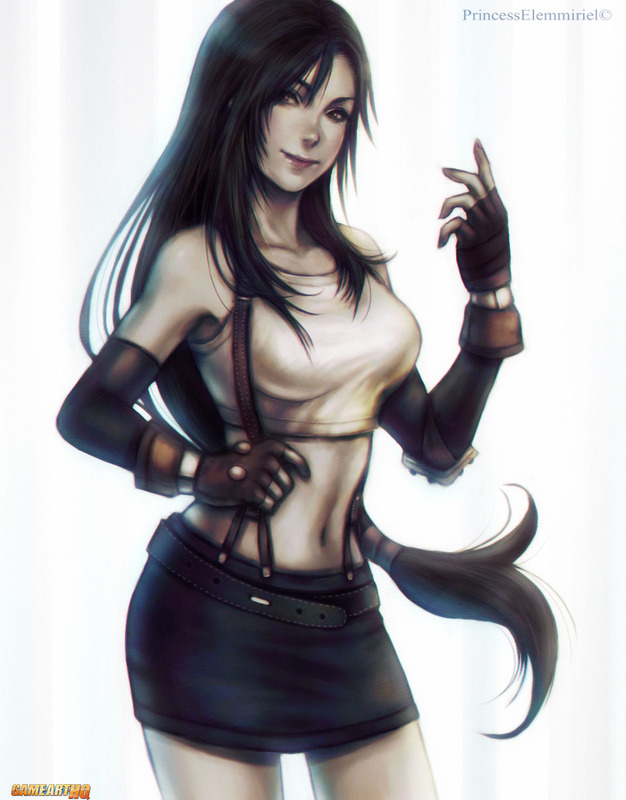 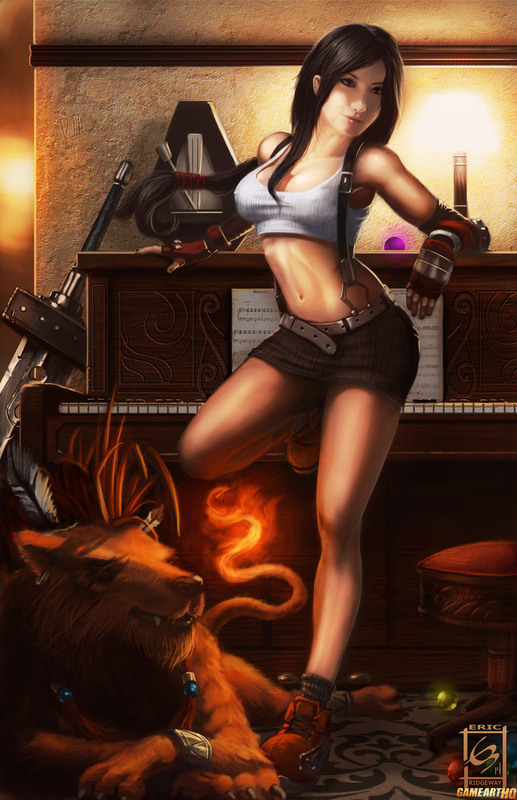 Tifa Lockhart is till today one of the most popular Final Fantasy characters and I am pretty sure we will see her again in future games. 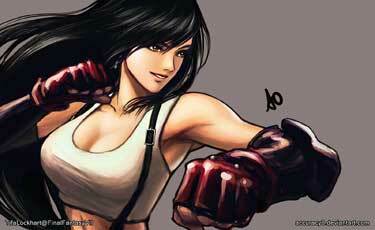 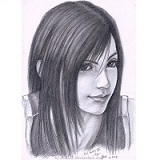 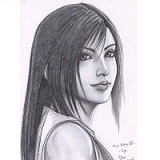 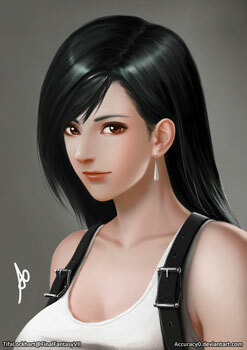 Tifa Lockhart is a part of our Final Fantasy “Those Who Fight Further” Art Collaboration and was drawn by three different artists for it.